From the Kennels archives my day-to-day life at an animal shelter. You’ll see vids & pics of critters and my interaction with them. You may even get my perspective on stuff with the dogs and cats helping me out. At present, I work at the Green Hills Animal Shelter in Trenton, MO and I love my job. I’ve been working there for several years and the job has made me a bit of an activist towards helping critters find a good forever home. 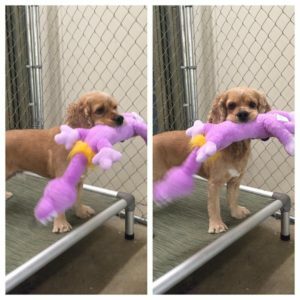 Sparky the Cocker Spaniel GETS ADOPTED!